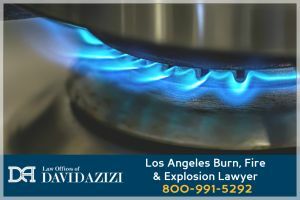 Some of the most painful injuries we see at the law offices of David Azizi are burns suffered in fires, explosions or contact with superheated materials. We understand how difficult it can be for the victims that contact us for legal assistance, especially when it has been someone else’s negligence that caused the wounds they now must deal with for a lifetime. These Injuries Are Extremely Traumatic. Here’s a Law Firm Who Can Help. Thankfully for our clients, we’re very happy to provide highly-qualified legal assistance in burn injury law. 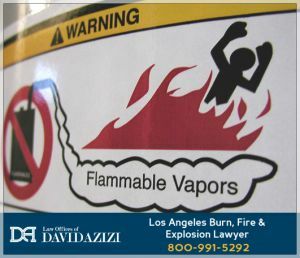 Our lead attorney David Azizi is unsurpassed in his ability to successfully represent victims of fires and explosions. He has practiced law for 21 years, and over that time, he has attained an outstanding 98-percent rate of success at winning cases for his clients. He holds distinguished commendations from legal giant Avvo, which rates him “Superb,” and from Expertise.com, which lists him as one of the Top 20 Personal Injury Lawyers in Los Angeles. The highly prestigious Super Lawyers organization recently named him for the sixth time as one of Southern California’s best attorneys in his field. It’s important that the party or parties whose carelessness led to the accident and your injuries will be held accountable. Call today at 800-991-5292. We are available 24/7 and will connect you quickly with David for your free consultation. If David does take your case, he pledges that you won’t have to pay him a thing until he wins your case and you receive your financial settlement. He is confident, as are we, that there’s no one in Southern California who will be as effective at recovering the costs of your injuries as David will be. David’s own background in insurance means he knows how insurance companies and their legal representatives think and the strategies they use to minimize payment to burn victims. This gives him an extraordinary advantage as an accident lawyer. David’s toughness in court is matched by his compassion for his clients. As a married father of three young children, he is especially touched by the pain of his youngest clients. He understands how stressful attending to medical care, and makes it his goal to take the pain out of the legal process. Unlike the vast majority of other highly experienced and successful attorneys, David gives each client his cell phone number. He handles each case personally, treating both large and small cases with the same commitment and dedication to justice. As we mentioned, David especially feels sympathy for child victims of burn accidents. Here, he describes one sad accident involving a water heater and two boys. Another of his many burn cases involved a model who was throwing a luau-themed party for her boyfriend. Her supposedly flame-resistant hula skirt caught fire on a candle, causing serious burns. She turned to David for legal help. There is no attorney in the Los Angeles area who is more capable of recovering your expenses from a burn, fire or explosion. Lawyer David Azizi is ready to help and looks forward to your call. Contact us 24/7 at 800-991-5292, to receive your free consultation.